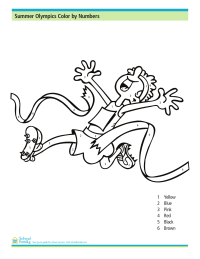 Holiday- and subject-area-theme printable coloring pages and worksheets. Have fun with these coloring printables while celebrating the holidays! 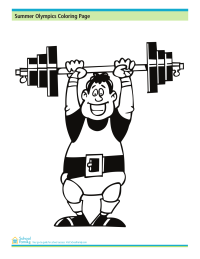 Have fun with this Summer Olympics-theme coloring page showing a weightlifter after a successful lift. 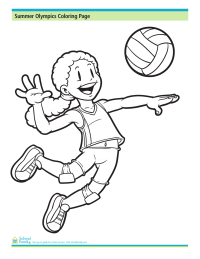 Try this Summer Olympics-theme coloring page showing a volleyball player spiking the ball. 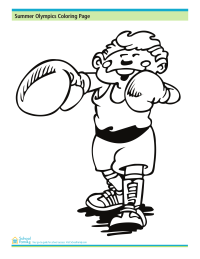 Enjoy this Summer Olympics-theme coloring page showing a boxer getting warmed up. 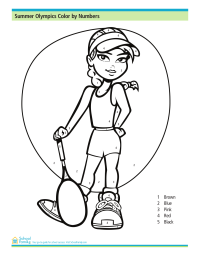 Practice color recognition and motor skills with this Olympics-theme color by numbers worksheet showing a tennis player.